"All the right parts, in all the right places. As accurate, durable, and lightweight as you can get in a single package." This firearm comes USED with it's original box/case and only one magazine. All photos are taken inhouse and display the exact firearm you are purchasing. Please take time to review thoroughly the pictures and product description in full before purchasing. Be 100% SURE BEFORE YOU BID. We cannot retract any bid submission. Gunbroker.com does not allow buyers or sellers to withdraw a bid on Buy It Now items under any circumstance. It is your responsibility to contact Independence Indoor Shooting with any questions or concerns regarding an auction BEFORE you place a bid. 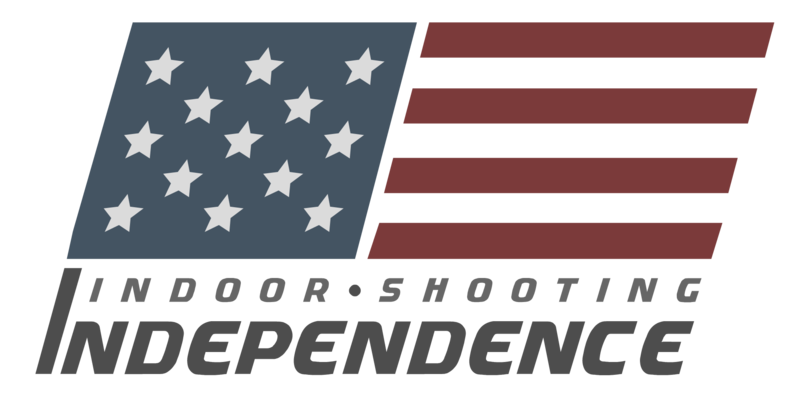 Independence Indoor Shooting is not liable for inaccurate bids or changing of minds. Please make sure you are not in violation of any local, state or federal laws and you are of legal age before bidding. It is your responsibility to know the laws in your state. You will be required to pay all fees incurred if you do not complete a transaction, plus a $35 processing fee. Gunbroker checkout is our preferred payment method. They expedite your purchase. We accept Mastercard, Visa, American Express, Discover, money order, and cashier’s checks. We do not charge credit card fees. We suggest negotiating the transfer fee your local dealer will charge. It is always best to check with several shops. Before shipment we require completed payment and a signed copy of your local dealer’s FFL. Please send the FFL to [email protected] Please include the Gunbroker auction number, description of the item and the winners name and contact numbers along with the FFL. We will only ship to the address as printed on the FFL. Handguns are required to ship UPS or FedEx 2nd day air. Long guns will ship via UPS or FedEx ground. By bidding on a firearm, you are stating that you are of legal age and are not restricted by any federal, state or local laws precluding purchase of the described firearm. ALL FIREARMS will be shipped with insurance. If there are any damages due to the mishandling of shipment by the carrier we will not accept it as a return. Shipping rates vary from $25-$100 depending on where in the continental US. We will provide you with the shipping cost after we receive the FFL dealer’s address. Orders shipped to Alaska and Hawaii may cost more. Please call for exact shipping costs. We are unable to ship to Curio & Relic Dealers. A 3-Day return policy is in place for all firearms. If the item you received is not as advertised in the auction, please contact Independence Indoor Shooting within 72 hours of delivery. Any returned items must be in the same condition as when you received it. Buyer is responsible for return shipping including insurance. Winner will be held responsible for any item that is damaged, lost or stolen during the ship back process. This policy is only for firearms that are not in fully functioning/working condition. If your items have been damaged due to a postal carrier/handler we are not responsible for those damages. We give all of our shipments insurance based on the value of the item shipping, this is an extra cost that we add to ensure that no packages are damaged during shipment. The 3-day return policy works best if you find that your firearm is not in working condition, it is in a different condition than was stated to be in (new/used), or if you added an additional charge for your item to be cleaned/cerakoted and it arrived without said changes. We will determine all damages or such based off of photos you must provide us. If in your photos there is an obvious mishandling issue or something of that nature that we cannot control once it leaves our facility, we will not accept it as a return. If there is an accidental bid or someone used your account without consent and you won a bid you weren't interested in please let us know. This is a rarity but can happen, as a buyer on gunbroker we will still hold you accountable even if you do not want the gun. We will repost the gun and you will be charged a $50 fee to cover all of our costs on the original post as well as new listing fees. Contact us with any questions before bidding. Use the GunBroker.com contact seller link to contact us. We try to respond to inquiries outside of our normal operating hours but it might not always be possible. ALL PHOTOS REPRESENT EVERYTHING YOU WILL RECEIVE WITH YOUR PURCHASE. ALL DESCRIPTIONS USED ARE DIRECTLY FROM THE FIREARMS MANUFACTURER WEBSITE. BECAUSE OF THIS THERE ARE SOMETIMES TYPOS SPECIFICALLY IN THE CALIBER, EXTRAS (SUCH AS GRIPS OR ADDITIONAL SIGHTS ETC. ), PAPERWORK ETC. IF AT ANY TIME YOU SECOND GUESS EXACTLY WHAT YOU'LL BE PURCHASING PLEASE ALWAYS REFER TO THE PHOTOS GIVEN. ALL PHOTOS ARE POST SPECIFIC AND REFLECT THE EXACT AUCTION YOU'RE PURSUING.